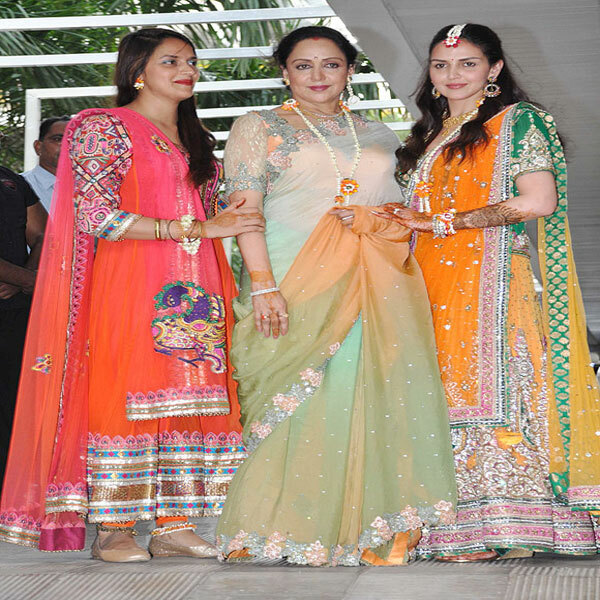 Hema Mailini and Dharmendra's Daughter Esha Deol's music ceremony celebrated on 26th June and today there is mehendi ceremony at one of the big club of Bandra in Mumbai. 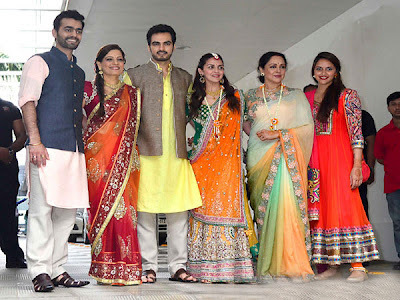 Hema Malini is in yellow and green sari and younger sister Ahana Deol was in an orange anarkali dress. Ahana Deol looking cute girl and she is looking very happy in Ceremony.Ahana Deol gives all pose in Smiley face. Daddy Dharmendra not present in Mehendi Ceremony as he was out of India. He also didn't attend music ceremony of Esha Deol on 26th June. Ahana Deol, Esha Deol and Hema Malini looking so happy . Bharat and Esha Deol looking a hot jodi in Mehendi Ceremony. Actress Madhu and other well known bollywood stars will also join the Mehendi ceremony.